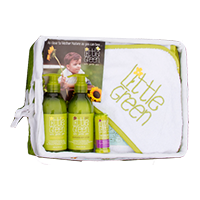 A 3-product gift set specially designed for babies, featuring Shampoo & Body Wash, Nourishing Body Lotion, and Soothing Balm. 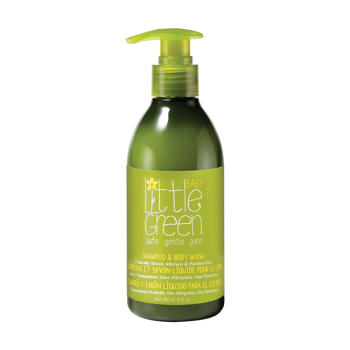 Shampoo & Body Wash - Mild, tear-free, all in one formula gently cleans and nourishes baby's hair and skin. Vitamin B5 and Vitamin E, moisturize and protect. Delicate enough for the most sensitive skin. Makes bath time quick, easy and fun. To lock in moisture, follow with Nourishing Body Lotion. Nourishing Body Lotion - Gentle moisturizer for face and body rich in Aloe, Vitamin B5 and Vitamin E, heals and protects. Easily absorbs leaving skin smooth and hydrated. Perfect for a relaxing bedtime routine. 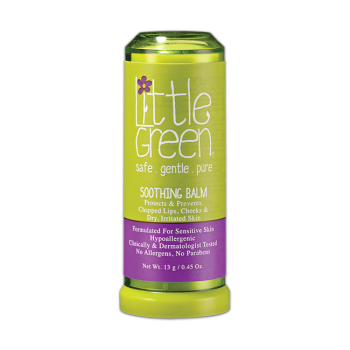 Soothing Balm- Perfect for chapped lips, cheeks, and dry patches. This lightweight balm is formulated with Beeswax and Jojoba to moisturize and nourish. Avocado Oil and Evening Primrose soothe and protect against summer and winter skin conditions. 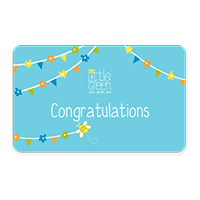 This is the perfect gift for a baby shower, especially if you want something different than the typical gifts. My friend loved it and can't wait to give the rest of the brand a try. Highly recommend.